*Why should I care about OERs? 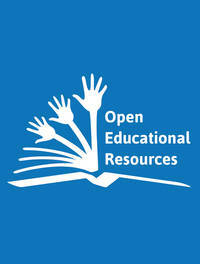 *What are some examples of OER projects? *How has UNESCO supported OERs? *What is the Paris Declaration? One of the most important UN's sustainable development goals is access to information and the ability to use it. This is one of the reasons why Denmark supports a standard-setting instrument on international collaboration in the field of Open Educational Resources. OER is a part of the digital transformation of education and has the potential to contribute to the realization of SDG4 and 16.10. It is important, that the instrument is capable of supporting the member states in ensuring, that the quality of the learning materials and the access to it, is satisfying and suitable to the different local needs. In order for OER to be widely used, it is furthermore essential, that adequate guidance on OER is developed and provided to teachers, librarians and students. It is imperative, that the smaller languages are also supported and it is vital, that the instrument does not promote or cause – accidental or otherwise – infringes on international agreements on copyrights, intellectual property rights and the like. We are happy to note, that the instrument is a recommendation, because this allows for more flexibility, which is crucial when dealing with digital issues. Before the meeting, we discussed in the Danish delegation whether we should mention "that blockchain technology can play an important role in the development of a standard-setting instrument on international collaboration in the field of Open Educational Resources, and would therefore like to emphasize that further exploration in this area should be pursued." We believe that blockchain technology can play an important role for OER, but nevertheless we chose not to mention it, as it could create confusion to bring in a new topic at the General Conference. En 10-årig forklarer: Blockchain | Nysgerrig | DRBlockchain-teknologi er hypet som aldrig før. Men hvad går det egentlig ud på? I am speaking on behalf of the International Federation of Library Associations and Institutions – IFLA – with over 1400 member associations in 142 countries around the world. Libraries have been promoting open education since long before the term was conceived. School and academic libraries sit at the heart of educational institutions, while public libraries complement the work of schools in promoting literacy, as well as promoting and supporting life-long learning. We are committed to driving progress towards SDG4, as well as across the whole of the 2030 Agenda. IFLA does not have a problem with traditional business models for providing educational materials, but believe that OER can offer a response to the market failures that currently exist. These risk compounding the challenges already faced by vulnerable groups by limiting their access to relevant educational materials. Similarly, we also support balanced copyright regimes that do not pose a disproportionate barrier to access to information and public interest activities. OER should not violate copyright, but copyright rules should not unreasonable hold back OER. I would therefore like to underline our support for the initiative. In doing so, we encourage UNESCO and its members to steer away from presenting OER primarily as a cost-saving measure. This risks providing an excuse to reduce investment in education. The focus, as underlined, must be on the outcome – a literate, informed and participatory society – not necessarily money. Similarly, we echo sentiments expressed by colleagues in the education sector that OER should not be used to ‘challenge’ teachers, as suggested in paragraph 26 of document 39 C/47. They should engage them. We look forward to seeing multi-stakeholder coalitions, just like that seen in Ljubljana, emerge at all levels. The convening power of UNESCO will make a major contribution to understanding the dynamics, the trends and the potential of OER to deliver the 2030 Agenda, and setting relevant goals and objectives. We look forward to continued work on this theme involving both this commission, and others working on education within UNESCO.